Shortly before 5 p.m. on Friday, a few workers began to trickle out of their offices at Barre City Place to head home for the weekend. Inside a gym on the building's first floor, people were sweating through end-of-the-day workouts. Traffic started to pick up on Main Street. Pedestrians milled around downtown sidewalks. And then, suddenly, a single sound brought everything to a stop. The report ricocheted off the walls of downtown buildings, piercing the late-afternoon din. It was unmistakable to anyone who has ever gone deer hunting. Thomas Knowles, who had been chatting with friends in the parking lot of a tavern next door, dialed 911 on his cellphone. From their offices on the upper floors of Barre City Place, state workers rushed to the windows to peer down at the parking lot below. There, Vermont Department for Children and Families worker Lara Sobel lay on the sidewalk, bleeding. 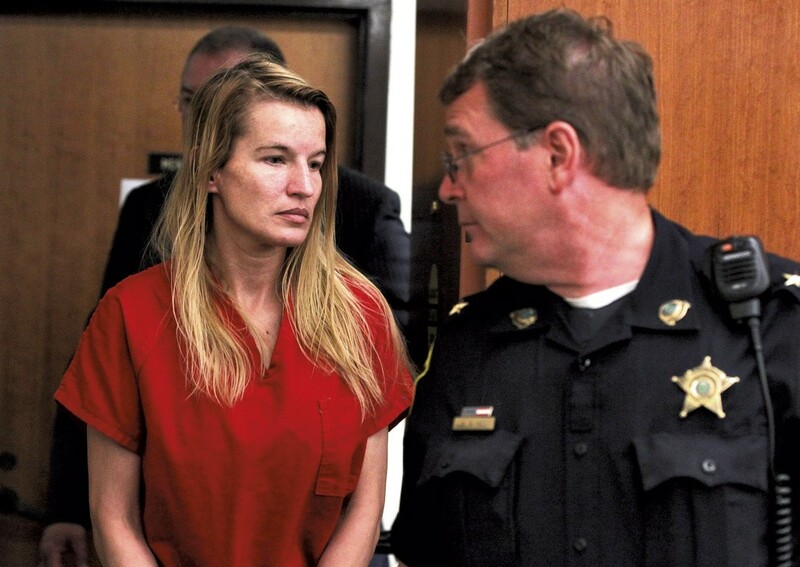 Above her, according to police affidavits and eyewitnesses who spoke to Seven Days, stood a woman — later identified as Jody Herring — holding a rifle and yelling that DCF had taken her 9-year-old daughter away from her. Washington County State's Attorney Scott Williams had been working out in the gym. He dashed out the front door in the direction of where the shots had been fired. The Navy vet immediately came upon Herring, who was holding a .270-caliber rifle, and the felled Sobel. He knew both women. Williams regarded Sobel as a "pit bull of an advocate for kids," as he described her later. He had served as Herring's defense attorney on disorderly conduct and petit larceny cases. Williams grabbed Herring and took the rifle. He then instructed two men nearby to hang onto her. One of them, Greg McNaughton, held Herring by her wrists until police arrived, while the second man stood over the rifle. Williams ran into the gym, called for someone to bring towels and dashed back to Sobel. Danelle Parrish, a gym employee, left the front desk and rushed outside with several towels. She and Williams knelt beside Sobel. Parrish had once worked as an EMT on the rescue squad in Hardwick. She could see from the severity of Sobel's wounds there was little she could do. So she draped the towels over Sobel, held the dying woman's head and assured her that she wasn't alone. Sobel, 48, died at the scene. Police came and cuffed Herring, who responded by chatting and laughing nonchalantly. On the way to the Barre police department, she kept talking about the shooting as if, one officer noted, it was "no big deal." The case took a startling turn the very next morning. Roughly 12 hours after Sobel was slain, a woman found three dead bodies inside a Berlin home. Police arrived to discover three of Herring's relatives: Regina Herring, 43, Rhonda Herring, 48, and Julie Falzarano, 73. They found shell casings, too. Gov. Peter Shumlin came back early from a Nova Scotia vacation and called Herring the "alleged perpetrator" of the apparent homicides. In lauding Sobel's public service, the governor also spoke publicly about negative comments that have been leveled at DCF since last year, when two young children in the agency's care died. DCF was criticized for not doing enough to remove the toddlers from unsafe situations. "They are deeply hurt by the language that is used about the work they do," Shumlin told reporters on Monday after meeting with DCF workers in Barre. "They read this stuff. They hear this stuff. You go on Facebook, you go on the blogs ... The attitude toward DCF workers, partly since the crises that were well publicized a year ago, has sunk to a level that is not in keeping with Vermont's tradition of respect and civility." Others worried that DCF workers, who interact with Vermont's most troubled families, are vulnerable. Steve Howard, executive director of the Vermont State Employees Association, said state workers have repeatedly raised concerns about security. DCF employees and probation officers often feel uncomfortable making site visits alone, Howard said. They would like an in-house system to track threats from clients, he said. Since Sobel's killing, workers have suggested that their parking lots and buildings are too accessible to the public, Howard said. "Our members said they don't have a level of confidence that this couldn't happen again and again and again," Howard said. "It can't be that the only folks that have security forces are the Statehouse, the governor's office and the courthouses." But increased security would not likely have saved Sobel, according to Administration Secretary Justin Johnson, who oversees state operations: She wasn't killed inside a state office or a courtroom but in a downtown parking lot. "You could spend a lot of money on placing security staff to make you feel safer, but not actually be any safer," Johnson said. Agency of Education employees work in the same Barre City Place building that houses DCF: They brought food for their neighbors on Monday and offered to answer the department's phones the next day so people could attend Sobel's funeral. In Washington Superior Court, Judge Kevin Griffin surveyed the weekend's wreckage. He took the unusual step of addressing a packed gallery of media, police and DCF workers before Herring's arraignment on a first-degree murder charge brought in Sobel's death. "This obviously has been a difficult number of days that everyone has experienced, but I felt a need to remind everyone that this is a court of law and rules," said Griffin. Then an emotionless Herring was escorted into court in a red prison jumpsuit. At the sight of her, a few people in the gallery burst into tears. Through an attorney, the 40-year-old woman pleaded not guilty. Defense attorneys David Sleigh and Kelly Green didn't bother challenging prosecutors' request to hold Herring without bail. Prosecutor John Treadwell of the Attorney General's Office indicated he might seek an evaluation to determine if Herring is competent to stand trial. After five minutes, sheriff's deputies led Herring away. Outside the courtroom, Attorney General Bill Sorrell, making a rare appearance at a criminal court hearing, told a pack of reporters that there was little he could add. He said he hoped police would wrap up their investigation into the deaths of Herring's relatives by the end of the week. No charges have yet been brought. Among those who filed out of the courtroom was Herring's 20-year-old daughter, Desiree. "I don't even know if she knows what she's done," she said in an interview. "She had such a blank face." Desiree Herring said she has two siblings, and DCF had taken all three of them from Herring at different points. Although she hadn't spoken to her mother in several months, she said Herring had been seeing a psychiatrist for a year or so and had been prescribed medication. "All three of us have gotten taken," Desiree Herring explained outside the courthouse, which sits 100 yards from where the gunshots rang out. "That's enough right there for anybody to snap. For somebody to kill somebody? Absolutely not." State's Attorney Williams stood nearby. On any other Monday, he would have been inside the courthouse, prosecuting criminals. But he is a key witness in this case, which disqualifies him from that role. Williams knew he was going to be asked what he saw, again and again. Clutching a piece of paper, he began reading a brief account of what happened on Friday afternoon when two shots rang out in Barre. As he addressed reporters, his hands shook occasionally. He said it was the only time he would publicly discuss what he saw.